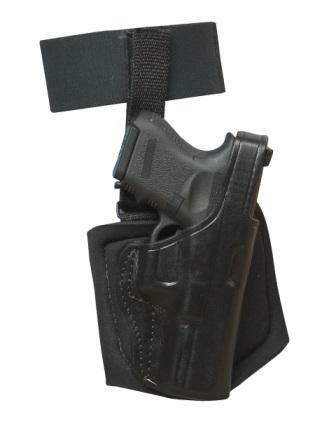 ANKLE SAFE-ANKLE HOLSTER [Ankle Safe] - $109.80 : Don Hume Leathergoods, Simply the Best! Our new ankle holster is made of a neoprene wrap, Velcro closure and sheep skin padding for comfort. The holster body is of cowhide leather hand boned for a custom fit.